Depending on your class schedule, you may find yourself spending hours away from your dorm room or apartment. With only a backpack (and maybe a purse) to carry all of your must-haves around, it’s important to utilize your limited space wisely. Lucky for you, I have been in your shoes and know those items that you should have on-hand at all times, as well as those that you can leave behind if there just isn’t enough space. 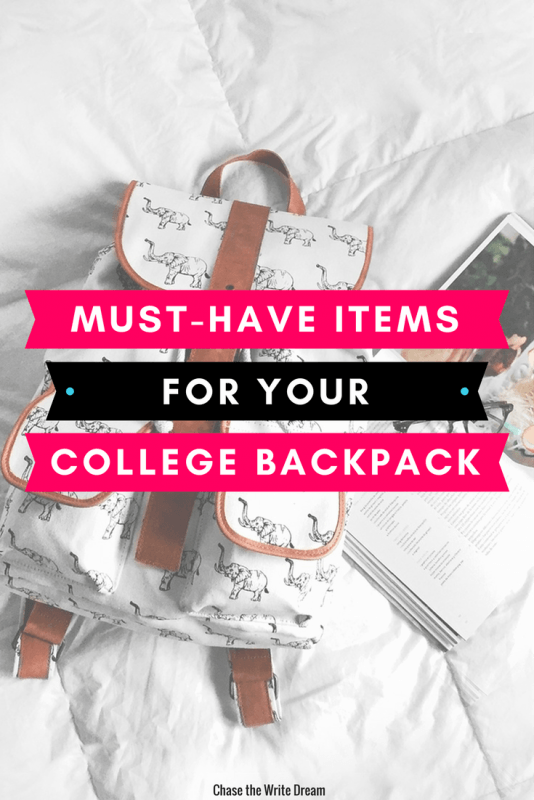 By the way, I also have an entire post on my Must-Have School Supplies for College Students. Be sure to check it out! Items that you need for class should ALWAYS take priority. There is nothing worse than showing up for class completely unprepared. It always amazed me when I had classmates asking me for pens or notebook paper! As a college student, it is your responsibility to have something on-hand that allows you take notes. The MacBook Air (my personal favorite and the laptop I currently use) is a popular choice for students since it’s lightweight. Students who have to walk around campus for long periods of time will appreciate having less weight on their shoulders! I also recommend having at least a notebook or a few sheets of paper in your college backpack in case your technology decides to screw up (it happens to the best of us). Accompany that with a few pens and mechanical pencils to make sure you’re ready for exams, important notes, and anything else your professors throw at you. Another college backpack must-have is a planner (like the ones pictured below) or calendar to help you keep track of important dates. I’m talking all of those tests, projects, and presentations that are going to be due throughout the semester. Don’t miss one deadline! In college, you may not have the opportunity to make that missing assignment up. By the way, you can find specific tips on what to do for the first day of class at 5 Things You Should Do on the First Day of College Classes. 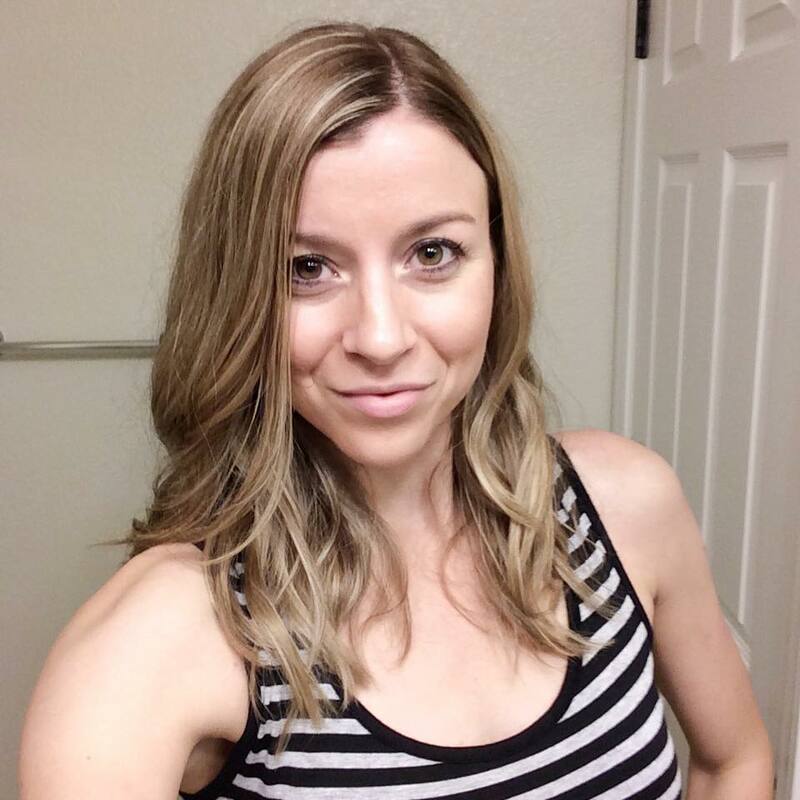 I know that junk food is SO tempting throughout the day, and it’s totally ok to have a little of that every now and then, but healthier foods are going to make you feel fuller and better when you’re sitting through those boring class lectures. I know that most granola bars aren’t the healthiest because they contain lots of added sugar, but I have to say that KIND Bars with Dark Chocolate Nuts & Sea Salt were a LIFESAVER for me! I get the worst chocolate cravings and these really helped me to feel satisfied. Definitely a better alternative than downing a Hershey’s bar in three bites (don’t judge). Y’all, this is the biggest lifesaver ever. I was given a minimergency kit as a gift one year and it quickly became a must-have item. Not only is it small and compact, but it contains SO MUCH STUFF. The bag is small enough to fit your fingers around, so it won’t take up much space in your college backpack. Check out the picture below to see what other great items are included in a minimergency kit! Staying hydrated is super important in college. Not only does it keep your body healthy, but it also keeps your mind in check. The last thing you want to do is get a headache in class because you’re feeling dehydrated! Carrying around a water bottle is so much cheaper than buying bottled water every day. I’m a huge fan of Tervis Water Bottles because you can get them in all types of designs and they were created to keep your hot drinks hot and cold drinks cold. I still use Tervis to this day because of their quality products. There are tons of styles and sizes, so you shouldn’t have any issue finding one that fits into your college backpack! Before you pack your extra items, think about any activities you are going to have later that day. For example, if you plan on going to the gym, pack a pair of workout clothes that you can change into once you get to the rec center. If you are experiencing pesky seasonal allergies, grab a small thing of tissues as well as some hand sanitizer . For those of you who use your cell phone frequently and find that your phone is dying before you get home, carry your phone charger in your backpack so that you can juice it up throughout the day. Don’t forget to use Ebates when you shop so that you can get cash back on your purchases!!! Now that you have your college backpack in order, it’s time to get your dorm room or apartment feeling more like a home! Head on over to Make Your College Dorm Room a Retreat with These Ideas to find out how. Oh my gosh those notebooks are so cute! I wish I would’ve read this before my first day of college, I didn’t realize how hungry I would get after three hours of classes and bringing a snack would have been a lifesaver! I remember not bringing snacks once and I thought I was going to pass out. I was so hungry and my stomach was growling REALLY loud… never again. Lol. I LOVE this post! This was super helpful! I’m going to be a college freshman this fall, and am super glad I read this! Hand sanitizer for sure! I hated riding the bus between classes and realizing I had forgotten hand sanitizer after touching the handrails, especially if I had been standing and not sitting. It really grossed me out. Phone chargers are also a good idea if you have a long day. Hand sanitizer just made me think about lotion… that is a definite must for me as well! I also always have a few tampons/pads in a cute little case that goes in my backpack. Chewing gum, hand lotion, and a few small pieces of chocolate are also some of my must have items. And did you say Chapstick? I would die without it! ? Gum is definitely a must for staying awake during those long lectures that feel as if they could go on for days! A lot of this is really good advice, especially the snacks thing. I LOVE those KIND bars. The pomegranate and blueberry one is my favorite. You should always have a pair of sunglasses on you. Eyes are a very precious thing, and you need to protect them at all costs. The only thing I disagree with is the choice of computer. A lot of students can’t afford an item like the microsoft surface since they are super expensive, but I agree that a laptop is definitely a necessity, or a tablet that can act as a laptop. There are some great laptops and tablets out there that are super cheap and super high quality. Consider buying refurbished ones, they’re just as good as new ones but significantly cheaper, but be careful where you buy them from. Buy one directly from the manufacturer’s website, that you know for sure where it’s coming from. When buying, go for smaller screen size unless you absolutely have to have a large screen like for computer programming majors or something. They’re lightweight and fit better in your bag. Computers are great for taking notes in classes where the lecturer just talks and occasionally writes on the board, but for other classes like the science and math ones, I definitely recommend a paper notebook and pen or pencil. Go for a sturdy notebook like a five-star or one with a hardcover that can handle being tossed around in your bag. Back to computers, a very cheap tablet that has great quality is the Amazon Fire Kindle. If you don’t have a lot of money then I definitely recommend it, not to mention it has plenty of apps available that you can take notes on, or can get on the internet and log onto google docs or something. Just buy a bluetooth keyboard and you’re all set. If that’s not up your alley then do some research. Figure out what your needs are and find something that suits those needs. Well, there’s my advice. I didn’t mean to go on like that but anyway. This article is super helpful, and I wish I had read it before my first day of college classes. I never thought to make a minimergency kit. I’ll definitely do that over Christmas break! Thanks so much for this informative response, Michelle! I agree that finding what fits your needs is important – no reason to go spend tons of money if you don’t need to!!! I completely agree with all of this! I always have most of these items with me in my backpack whenever I have classes all day. Water is a MUST for me and so are snacks as I get low blood sugar! Make sure to keep your health in mind, guys. Awesome list for college backpack. I love chocolate, so I always take some chocolates in my college backpack. Great Advice. I am always hungry and never go into class without a light snack or at least gum to hold me over before lunch. I like this post! I love headpone, so I always have it in my backpack. Thanks for great information.